Can't Sleep? You Need To Read This. A cheat sheet to a good night's shut-eye. Do you regularly struggle to get a good night's sleep? A nutrient imbalance could be at the root of your problem. For example, stress can cause a deficiency in vitamin B, which is needed to promote the production of serotonin and encourage a restful sleep. "You may be specifically low in Vitamin B6," explains Susan Curtis, Natural Health Director at Neal's Yard Remedies. "This has a tranquilizing effect and can helps balance moods swings related to PMT, which can also keep you awake." Her top tip? "As B vitamins are a 'family' that works best together, try taking it as part of a B-complex." Other supplements worth considering are Vitamin C and essential minerals such as magnesium. These play a vital role in boosting energy levels and are credited with having a calming effect on the nervous system. Herbs have been used to treat insomnia for hundreds of years and are most commonly used in tea. 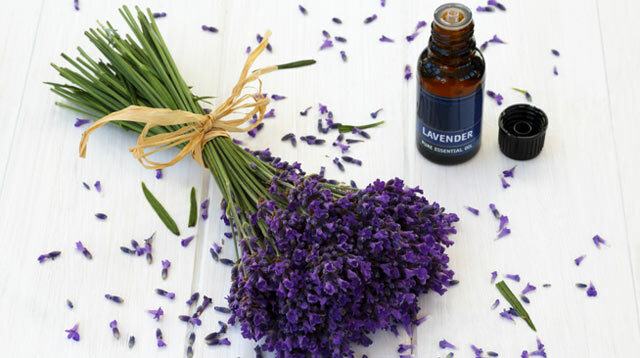 Chamomile and lavender are two of the most well known sleep aids. They are both widely available in the form of tea or oil and are traditionally used to relieve tension, stress, and anxiety. Other calming herbs to know about include passionflower, limeflower, and skullcap. "These have a powerful effect on our mind and emotions," says Curtis, and they can be used in a variety of ways. Try adding a few drops on your pillowcase or diffuse in the air with a vaporizer. When it comes to choosing the right oil, there are a number of options. For insomnia related to stress or anxiety, Curtis recommends lavender. Neroli is also said to be an effective sedative and anti-depressant, while the uplifting properties of bergamot make it particularly useful for easing tension. If you often feel wide awake and full of energy just before bedtime, it might be worth rethinking your eating habits. "Remove chocolate, stimulants, cigarettes, and alcohol from your routine as these 'stimulate' the body and disrupt sleep," advises Curtis. Instead, try eating foods rich in vitamin B and magnesium, such as whole grains, rainbow fruit and vegetables, pulses, nuts, and seeds. It's also important to drink plenty of water and consider what you eat for dinner. "Avoid eating heavy meals after early evening," adds Curtis. "It overloads the digestion and may affect sleep. If it's necessary to eat late, make it light." Are you prone to reading emails or checking Facebook in bed? Try to kick this habit, as exposure to the blue light emitted from our phones can interrupt sleep. Deep breathing exercises or mediation can be far more beneficial, along with exercise during the day. "Make time to exercise or walk in green spaces for 20 minutes a day," says Curtis, and then relax with a warm bath in the evening. Add sea salts or Epsom salts for a truly peaceful pre-bed routine. This article originally appeared on Cosmopolitan.co.za. Minor edits have been made by the Cosmo.ph editors.